Books. Book lovers, rejoice. You’ll find 9,000 books that Hemingway collected over the years in the Hemingway Cuba museum, so fill up your own home with your favourites. Faux animal heads. 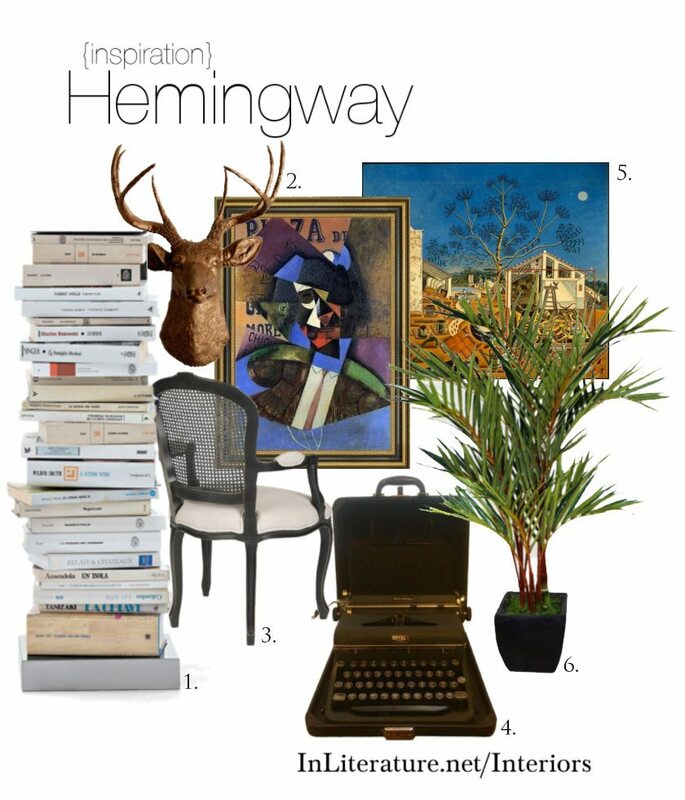 Whether it’s your style or not, Hemingway was a hunter, and displayed his prizes on the walls. We opted for a faux version from Etsy. Furniture. You’ll find a mix of furniture in Hemingway’s homes, from cane chairs to 17th and 18th century. He did have a particular love of the Spanish style– the headboard in his Key West bedroom was made from a Spanish monastery gate and the kitchen tiles were Spanish and Portuguese. A typewriter. While he did use different typewriters the Royal Quiet de Luxe typewriter was a favourite. Art. Hemingway had a true appreciation for art during his life, and collected numerous pieces. Three well-known pieces he bought from his artistic friends, include Joan Miró’s painting The Farm (you can see the original in the National Gallery of Art in Washington, D.C.) and Juan Gris’ The Guitar Player and The Bullfighter. See if you can find copies online from sites like Amazon, or curate your own collection. Tropical plants. A nod to his Key West and Cuba home, don’t forget an indoor palm to capture some of the tropical feel his home would have. Pictured is a Laura Ashley Tall Lipstick Red Palm Tree from overstock.com, however, Ikea also has some nice affordable artificial pieces.